The Dairy India Yearbook has been synonymous with Mr P.R. Gupta who fathered it almost 25 years ago. My association with Dairy India and P.R. Gupta goes back to the very first edition when Mr Gupta asked me to become its Chief Editor. Information about Indian dairying was readily available through the Indian Dairyman (and I had served as its Chief Editor) and I was not sure what new information Dairy India could bring about. Mr Gupta by then was obviously well known in the poultry circles (of which I had very little knowledge) because of the success of his Indian Poultry Industry Yearbook being published since 1973. The two sectors had very little in common, or so it appeared. Mr Gupta was a very persuasive man, and I agreed to be the Chief Editor of Dairy India in 1981 not seeing any conflict with the Indian Dairy Association (IDA) of which I was an office bearer. I did not know what I was getting into until Mr Gupta traced me for a consultation to the Koeladeo Bird Sanctuary in Bharatpur where I had taken a brief but much needed retreat along with my family. He wanted to confirm with me all that could go into the first edition of Dairy India. We were all impressed with Mr Gupta’s persistence and mission orientation and that is the first time I thought of something useful coming out of the compendium. At the National Dairy Development Board (NDDB), at that point of time, we (read Operation Flood) were generally under attack on all kinds of fronts. That ultimately led to the Jha Committee being set up to look into the working of the NDDB and the Operation Flood project. Data was needed on the wider implications of the dairy sector. For example, the role of milk in the agriculture economy of India and its contribution to the alleviation of rural poverty. Even though, we had a good network of information gathering but to our surprise Mr Gupta would come up with all kinds of very important figures. I remember when he excitedly mentioned to me that the total value of milk in India had reached a level plonk between rice and wheat and milk was merely a by-product of the crop residues and other agricultural by-products. These and many other figures which he came up with proved very handy in defending the investments in the sector. Dairy India also provided periodic reviews on the status of the sector which were always topical and objective. Mr Gupta also undertook the onerous task of bringing out the book on Technology of Indian Milk Products published in 2002. Even though I had suggested the need for bringing out the book, it was Mr Gupta who put his heart and soul into editing and publishing it. The co-authors of the book know very well about the tremendous efforts that Mr Gupta made to see the book published. I will never forget the trip that Mr Gupta made to Miramichi in Canada in connection with the compilation of this book. That also gave us the unique opportunity to host him as our guest in Canada. Rama my wife and Punita, our daughter, were so very happy having him with us and he was a great source of inspiration to all of us. As President of the Indian Dairy Association in the early 1990s, I was hoping that the Association and Dairy India could work together and the Association could have the compendium as a joint venture with Mr Gupta. This was not to be. This has resulted in the Dairy India becoming an institution by itself. Mr Gupta got more out of life than most of us and won many hearts with his sincerity, hard work, dedication and simplicity. 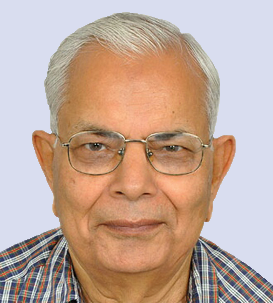 He scanned the Indian economy constantly looking for all kinds of pointers affecting the growth of the dairy sector. He did his best to reconcile data from various sources so as to get to the bottom of real facts that affected the dairy sector. He would bring out the differences between the NSSO data and the agricultural census and other data on the Indian economy so that these figures could be reconciled and used effectively. He was a one man Data Bank, always accessible. I know it fully well that for Mr Gupta, publication of Dairy India was a labour of love and he continued to do so even though the financial viability of this venture was always questionable. I look at this edition of Dairy India as a celebration of the hard work put in by all the stakeholders in the industry in making India the largest producer of milk in the world. Knowing Mr Gupta as I did, he would have been very proud of the legacy that he has left and congratulate Sharad Gupta on keeping the legacy going in its true form.